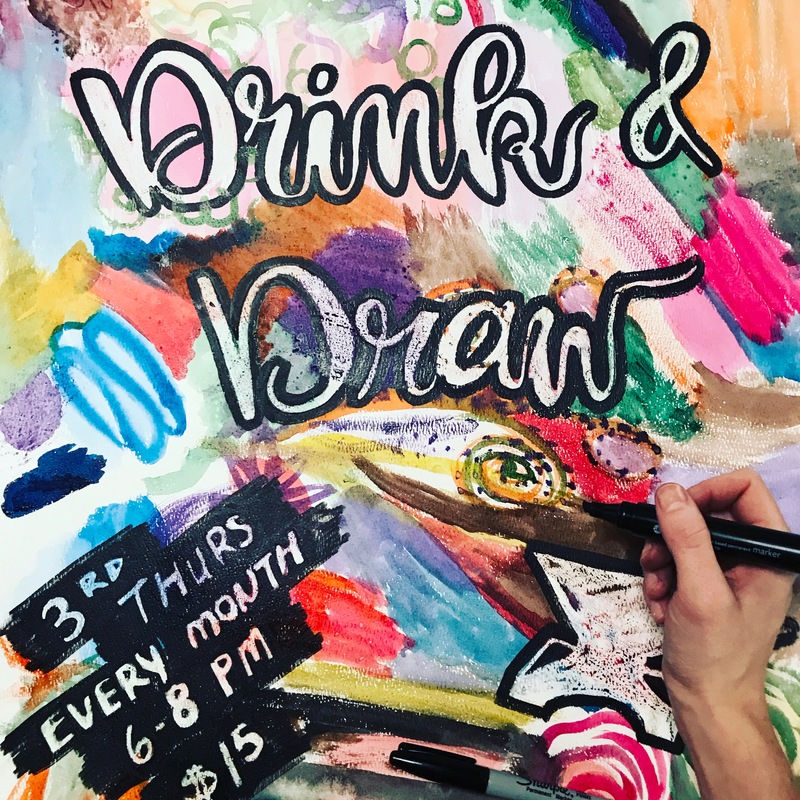 ArtVentures hosts monthly Drink N Draw events at Anvil Coffee House in the Ottewell community the third Thursday of every month. Anvil provides a warm and relaxing atmosphere where seasoned artists and clueless beginners alike benefit from a cozy and informal evening of doodling and drinking! This sweet combination makes for a wonderful evening of creativity. Each month you will be introduced to a few basics or tips for inspiration, with no presumption of existing knowledge or skill. These sessions are free-flowing, open-ended, and intimate art classes open to everyone. We provide all the materials you will need, and send you home with the confidence and inspiration you need to continue creating on your own. Anvil’s selection of beer, wine, and specialty coffee is available for purchase.